By 1937, Nazi regime’s prisoner uniforms made of coarse grey-blue striped material and clogs had become standard issue in the concentration camp system. 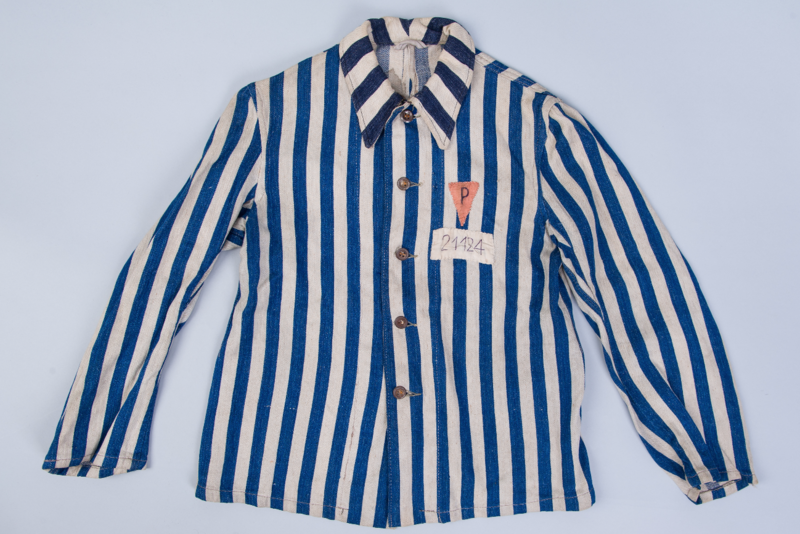 The exhibition is home to several uniforms that were used by inmates in Auschwitz and other concentration and death camps. Each of these striped uniforms was marked with a badge indicating the prisoner’s category and an identification number that henceforth substituted his or her name. 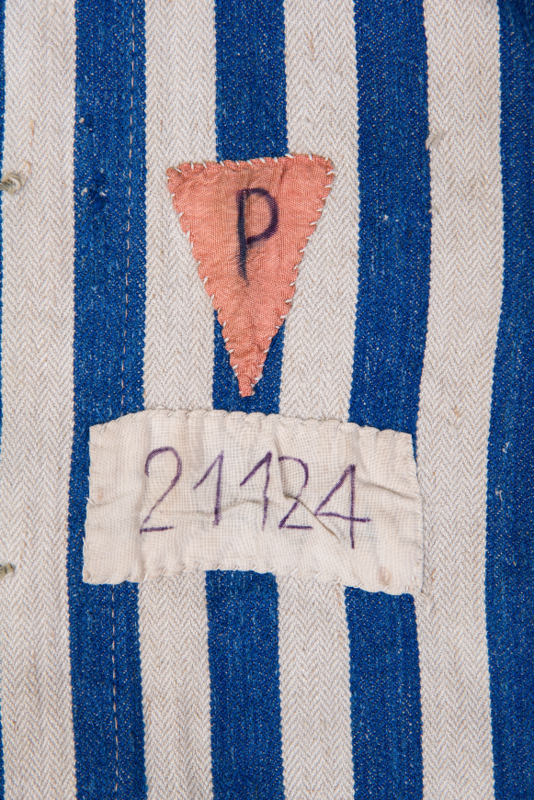 The most common badge in Auschwitz was the yellow triangle that marked prisoners incarcerated for being Jewish. These crude uniforms were made from bolts produced at the Ravensbrück camp for women, afterwards cut and sewn in tailor workshops in each of the most important camps. In view of the high mortality among the inmates in Auschwitz, the new prisoners were often given the old uniforms and shoes left behind by the murdered. Even so, when these were in short supply given the vast number of prisoners, civilian clothes marked with paint and the customary badges were used.